When considering the ideal appearance of the nose, its symmetry and proportion to the face are of primary importance. A nose that is too large, crooked or otherwise unattractive can be overpowering and distract from the beauty of the surrounding facial features. While some patients are born with an imperfect nose, others seek reconstructive or cosmetic procedures after an injury or as a result of nasal changes brought on by aging. Plastic surgery for the nose, or rhinoplasty, remains a commonly requested procedure for both men and women. However, it is one that requires elite skill, knowledge and talent from a plastic surgeon to be performed correctly. A successful rhinoplasty surgeon realizes how to alter the delicate internal and external structures of the nose to create balanced and natural-looking aesthetics while also improving or restoring breathing function. If you live in the Houston area, you can trust Dr. Sanaz Harirchian as a leading rhinoplasty surgeon. 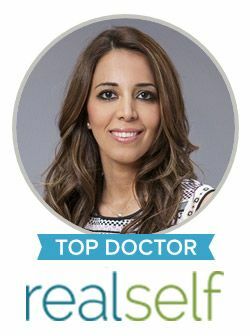 Whether you are seeking to improve your breathing, highlight your ethnicity or gain a more youthful nose, Dr. Harirchian offers both surgical and non-surgical techniques to create better balance, size and shape within the nose. During corrective nose surgery, she is known for implementing advanced methods to ensure incisions are well hidden and the most desired, sustainable results are achieved. To learn more about your rhinoplasty options from Sanaz Harirchian, MD in Houston, please contact us today. Dr. Harirchian understands the level of skill and talent required to achieve satisfying results in rhinoplasty.